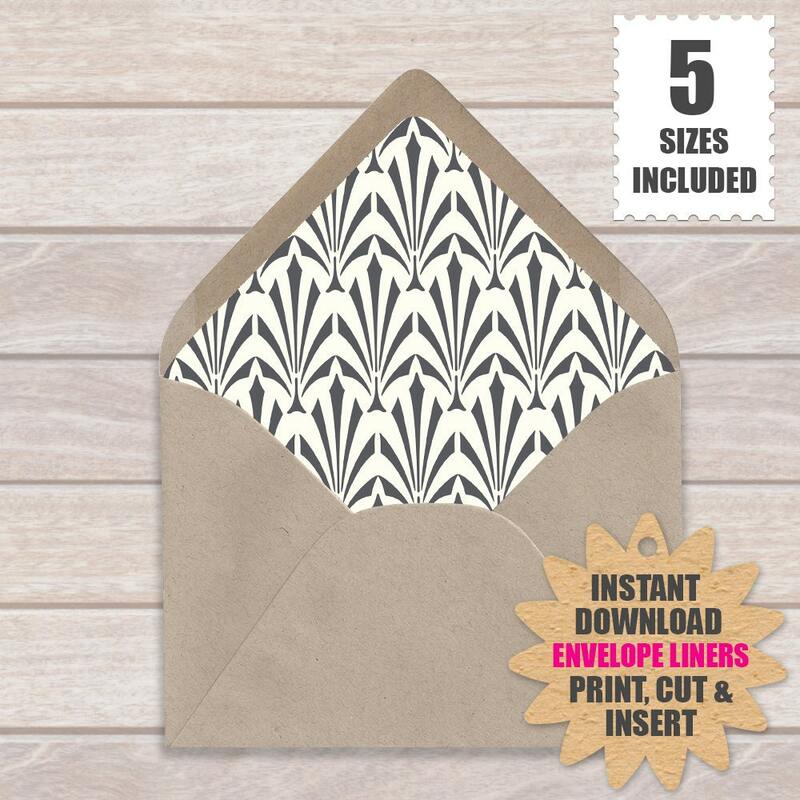 Art Deco European envelope liners to download and print from home or have your local printer print them for you. 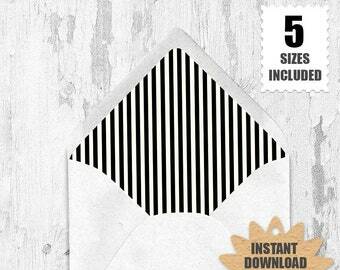 Add another level of detail to your greeting card, wedding invitation, party invitation or everyday mailing with these art deco pattern printable euro envelope liners. The European envelope shown are from Paper Source and are not included. If you don't have a PaperSource store near you the envelopes are available for purchase online at PaperSource.com or any online retailer who sells European style envelopes. Print them on 8.5 x 11 sheets of your paper choice as many times as you would like! Download and open your pdf envelope liner files. Print the ones you want on the type of paper you would like. Cut the envelope liner out. Insert the envelope liner into your European style envelopes to be sure they fit and trim as needed. Once your envelope liner is inserted fold the liner flap down with the flap of the envelope and open again. Remove the envelope liner from the envelope. Turn the envelope liner over (blank side up) and using a glue stick rub glue on the back flap edge "pointed area"
Insert the envelope liner into your European style envelopes again and press the glued area to the inside flap of the envelope. Check to make sure the envelope will close properly and make adjustments as needed before the glue dries the envelope liner in place. * Please note that envelopes from other companies are not sized exactly the same and some trimming may be necessary. If you find that the liner is slightly to big, simply trim down the template to your size and then use that one as your template guide. You may not use these files to resell or use in other products for sale. colors may or may not be as vibrant or exact in color as you see them on screen when printed. No physical Envelope liners will be printed nor delivered to your address. 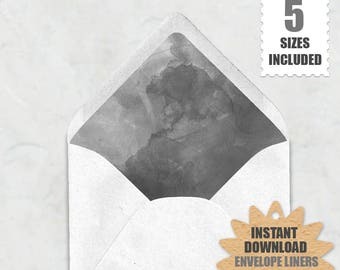 White Birch Bark Envelope Liners | Download And Print These White Birch Barck Rustic Woodland Printable Euro Envelope Liners . Map Of Ireland DIY European ENVELOPE LINERS | Vintage Ireland Map Printable Make Your Own Envelope Liners Template. Blush Pink Envelope Liners | Download And Print These Blush Pink Printable Envelope Liners . Envelope Liner Template Floral Kraft | Download And Print These Floral Kraft Printable Euro Envelope Liners . Vintage Old World Map Envelope Liners | Download And Print These Old World Map Printable Envelope Liners .